It’s our mission to recognize and fundraise for military charities by hosting and supporting well ran events with a constant emphasis on honoring veterans and benefiting the charities that support veteran causes. Without your attendance, we wouldn’t be raising awareness nor funds to help send veterans to D.C. to see their memorials. We hope your time with us is nothing short of amazing and that you and your team experiences a well run softball tournament. If we can do anything to make your day easier or more enjoyable, please, find a volunteer in a orange shirt and they would love to help you out. We’ve grown from a small 20 team tournament in 2012 to expanding to two days in two cities to accommodate a full weekend of of softball with over 640 friends. If you are passionate about helping veterans and would like to talk to us about joining our team, we’d be excited to meet you in person to discuss the future. If we can build a great group to grow with, we would love to expand our tournament to multiple times a year in multiple cities, as long as we can continue to help our veterans. 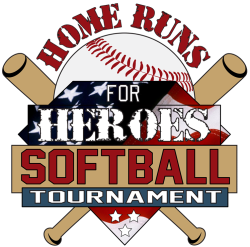 Thanks again for playing softball to help vets. It is the Central Missouri Honor Flight’s (CMHF) mission to transport America’s veterans to Washington, D.C. to visit the memorials dedicated to honor their service and sacrifices. Since inception in 2009, CMHF has transported over 1650 veterans to Washington on 28 flights. They are a totally volunteer organization funded by donations from individuals, organizations and businesses who wish to see our aging veterans honored before it is too late. CMHF will do whatever it takes to fulfill the dreams of our veterans and help them travel at no cost. Medical and mobility issues are no problem. If you are a veteran who would like a spot on the Honor Flight, or a caring individual interested in lending a hand, please visit CentralMissouriHonorFlight.com to find more information. CLICK HERE TO LEARN MORE ABOUT CENTRAL MISSOURI HONOR FLIGHT.